The developers on our scrum team are done with a story (product backlog item). Then defects are found during QA testing. Do we count it done? What about the defects? My general advice is that a story should not be considered done in the sprint if there are defects, or if the testing isn’t complete. If you know there is more work to do before the story would be acceptably complete then it’s not done. This is where the definition of done comes in. A key part of scrum is the definition of done. The idea is that when a scrum team says a story is done, then the business can recognize the value anytime they choose. For software products, this means the story is ready to release. This is why a scrum team should have all of the skill areas needed to get something all the way done. This usually includes testing. On the other hand, sometimes a defect escapes detection even when we’ve made every effort to test and confirm that the story is complete. If a story is tested, declared done, shown in the sprint review, and some time later a defect is found, that defect becomes a new product backlog item. Of course, the team may want to revise their definition of done, or at least their testing procedures, in order to prevent any similar defects in the future. If you need help creating a good definition of done, have a look at How To Create Your Team’s Definition Of Done. Scrum strikes a useful balance between flexibility and focus. In sprint planning, the product owner presents the most important objectives to the development team. The development team commits to as many of those as they believe they can deliver in the sprint. Once sprint planning is over, the business doesn’t change their mind about what they want. The development team is able to focus on delivering the product backlog items to which they committed. At the beginning of the next sprint, the business has another opportunity to change direction in any way they need to. Every so often something comes up that can’t wait until the next sprint cycle. This could be a problem that has arisen, such as customers not being able to log in. It could be a business emergency such as needing a feature rushed into production in order to land a new client. Such unplanned work is the subject of something that I call “the emergency protocol.” The emergency protocol isn’t an official part of scrum, but it’s a useful addition that many organizations choose to adopt. First off, we need one person with authority to declare something an emergency: the product owner. The product owner’s job is to make sure the team always focuses on the most valuable outcomes. Therefore the product owner decides if this urgent thing is more important than the team’s current work. Is it worth putting the sprint goal at risk? After declaring an emergency, the product owner shares the emergency with the development team. It’s important that they go to the whole team, because we want the team to take ownership of this emergency and decide how best to resolve it. Maybe the whole team will swarm on the issue. Perhaps the team will decide that two or three members can address the emergency while the rest of the team continues with the planned work. It’s important that the team decides, not somebody outside the team. After the emergency has been resolved, the team gathers together and considers whether they still have full confidence they can deliver all the sprint backlog items and achieve their sprint goal. If they believe they can, then they move forward as usual. If, however, they no longer believe they can get everything done, then the product owner decides what items to remove. 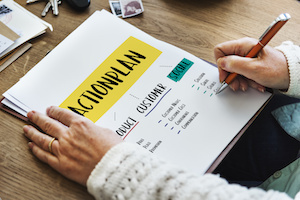 If the business is not going to get all of the originally committed product backlog items, then deciding which ones should be sacrificed is a business decision we want the product owner to make. The product owner selects one or more product backlog items to remove until the team has confidence they can complete the remaining items. How does this affect the team’s velocity? Since the emergency was unplanned work, there are no story points associated with it. Velocity is a metric that tells us the rate at which planned work is getting done. Unplanned work reduces the rate at which the planned work gets done. That is to say it reduces velocity. Remember: story points and velocity are a tool for predictability, not a way to keep score. Does your organization have a different way of handling emergency work? Leave a comment and let us know. I recently facilitated a software development group’s transition from component scrum teams to feature scrum teams. The new structure reduces cross-team dependencies, which had been causing significant delays in shipping new features. Over the course of a day, we dissolved the existing component teams, groomed a shared product backlog, created a shared definition of done, self-organized into new teams, and held LeSS-style sprint planning meetings. The excellent work everyone did left me in awe, and I felt honored to have the opportunity to facilitate the day. The participants left energized and excited for their new adventure. What follows is a description of how we structured a one-day event to transition the participants from being members of component teams to being members of feature teams. The group’s manager had been preparing the individuals for the transition. In each employee’s weekly one-on-one meeting they had been told that their current team would be shutting down and they would be participating in a day-long event to create new teams. Early on the morning of the big day, the leadership team gathered together with me to go over the plan for the day one last time. The day would start with very brief presentations by leaders about what wasn’t working with the current component team structure: dependencies are killing us! The organization’s chief scrum coach gave a very brief introduction to the LeSS model on which the new structure would be based. We took a few minutes to honor the work of the teams that were being dissolved today. They had done good work on their components. We spent a bit of time making sure each person was introduced to the larger group, including details about their skills and history at the company. We began collectively to refine the new product backlog items. We started with a high-level look at the new objectives. We brought items from the teams’ previous backlogs in as well. We used The Team Estimation Game to create the initial estimates for the new product backlog. During lunch, the product owner assembled the product backlog, ordering each of the items that we had just refined. After lunch, we asked the participants to self-organize into as many teams as possible, given the constraint of any team being able to complete virtually any item in the product backlog. This would require each team to have members from each of the previous component teams. The organizational leaders and I huddled in the room watching the group explore various options. Occasionally, they had questions that required an answer from one of the leaders. After about 45 minutes of deliberation, the new teams announced themselves. I had the honor of giving them their first assignment: name your team. That took another fifteen minutes, as the teams really wanted coordinated names. It seems like a small thing, but I’ve found that teams that name themselves seem to do better. Next up, I facilitated the teams in creating a shared definition of done. You can read about the technique I used in last February’s post: How To Create Your Team’s Definition Of Done. Now that we had teams, a product backlog, and a definition of done, we were finally ready for sprint planning. The first part of sprint planning was done together. The product owner would pull the first item from the product backlog and ask the group to decide if it could be done in the sprint and which team would take it. Then the next item was pulled from the top of the backlog, and so on. It wasn’t long before the teams collectively said “Enough!” They couldn’t accept any additional items and still have full confidence that they would be completed in the first sprint. For the second phase of sprint planning, the teams retreated to different corners of the room to task out the stories that they had just committed to deliver. The scrum masters for each team supported the teams with facilitation so that the tasking could happen efficiently, yet self-organized. Five o’clock was fast approaching as we celebrated all that had been accomplished during the day. Conversations were still buzzing between new team members as they left the room. As the organization’s leaders and I debriefed the day’s events, I was in awe of everyone that had organized or participated. I left full of hope for the future of the organization and the new teams. I’m excited to follow along on their journey as feature teams. Graduates of our Certified Scrum Master (CSM), Certified Scrum Product Owner (CSPO), and Advanced Certified Scrum Product Owner (A-CSPO) workshops often ask how they can continue their journey of learning about scrum, as well as earn Scrum Educational Units (SEUs) to help them renew their Scrum Alliance certifications. Attending conferences is a great way to accomplish these goals. Here is a list of conferences that you might consider attending in 2019. I’m sure we’ve missed some good ones, so point those out to us by leaving a comment. 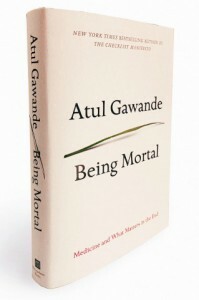 I recently read the book Being Mortal by Dr. Atul Gawande about empowering people to make end of life decisions. Now you might be wondering what that have to do with scrum? Well it turns out the same questions we might ask a dying person to help facilitate their end of life in an empowering way are the same ones we might ask a client to empower their scrum practice or agile transformation. 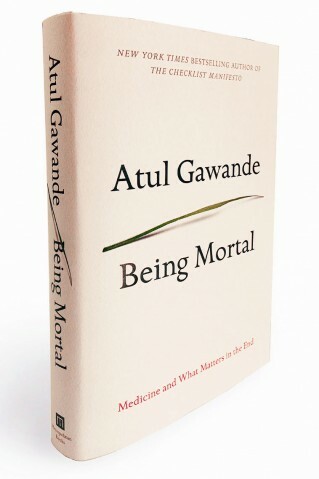 Dr. Gawande wrote the book about his experience (or lack of experience) having difficult yet essential end of life conversations with patients and their families. Conversations about what is important to the patient at the end of their life and what impact that might have on the the treatments they undertake and ultimately the experience that they and their families might have. While agile transformations are not end of life issues, there are some parallels for agile coaches here. We agilists often think the next coaching session or the next training or the next incremental improvement will be the game changer for our client. 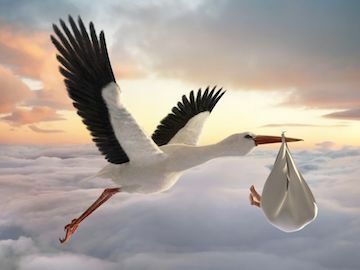 We are often driven by the power of the possibility we see, for what agile practices can do for a company or if you are like me, for the world. In the book Dr. Gawande outlines two ways that doctors interact with patients: paternalistically or as an informer. In the paternalistic mode, the doctor treats the patient like a child and the doctor the good father, telling the patient what to do and reassuring them it will be ok. As the Informer, they are laying out all the objective options and information and assuming the patient will put it all together and make the best decision for their treatment. Often neither of these approaches empowers the patient and they are left at odds and unsupported in their decision about their treatment. I could immediately see myself falling into both of these traps in my scrum training and coaching work. Sometimes, my client regards me as the expert and is eager to follow whatever advice I give. It’s all too easy to become the wise ‘parent’ in this scenario. Sometimes, I provide them with information about best practices and such and assume that they will make a good decision now that they are informed. Going back to Being Mortal, Dr Gawande describes a third approach he learned from a hospice director: the interpretive approach. In this approach, the doctor starts by asking the patient: what they want the outcome to be, what’s important to them and what are they willing to do to get the outcome. Then they listen, a lot. They talk about tradeoffs in treatment and experience. They give options. They counsel. They listen to both the spoken and unspoken desires of their patients to understand what is truly important to them. In essence they are working with the patient and their family to create context, and then help them interpret the information so they can have the kind of treatment or end of life that really works for them. This is distinct from a longer life at all costs approach. It strikes me that this approach could make a huge difference for our clients. First we help our clients think about and articulate what they really want (why they want to be more agile) and what they are willing to do to get it. From there, we can help them understand the possibilities of an agile approach and what that really means for them. This includes understanding the tradeoffs and the various options they might pursue. In this way, perhaps we could impact our clients by facilitating difficult conversations where they confront the reality of their culture and what they are willing to do or not do to have a result. From there the actions for them to take might be more clear and the motivation to take them much stronger. For me, this means giving up my own attachment to the idea that agile practices are always the best thing, in every situation. This is like a doctor giving up the idea that prolonging life is always appropriate. For now – I’m working on slowing down and asking my clients and students: “What do you want the outcome to be? What is your motivation for adopting scrum? And what are you willing to do to get it?” Then listening, without judgment or attachment, for how I can support them achieving their goal or outcome. One of our clients recently reached out to us asking for advice about how to manage their organization’s scaled scrum adoption. They wanted to know if they could use scrum to manage the adoption of scrum in the organization. The short answer is yes. 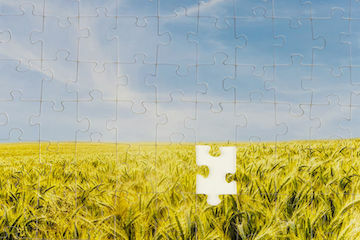 Guiding an organization’s adoption of scrum is a big project. It’s a project that will require a cross-functional team. It’s a project where the full scope of work can’t be known when the work starts. It’s complex, exactly the kind of endeavor that you want to use scrum to implement. 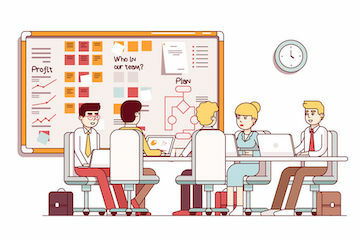 When I’m working with organizations that are adopting scrum at scale, I always start by recommending that they create a scrum adoption team, and that this team use scrum to do the work of rolling scrum out to the organization. One of the many benefits of leaders using scrum to guide their organization’s adoption of scrum is that they are leading by doing, instead of telling. “Do as I do” is much more compelling than “Do as I say.” The leaders will also develop a much deeper understanding of what they are asking their people to do, and will be better able to understand the changes needed in order to be successful. This team needs a product owner, someone who can answer the question “Why is this organization adopting scrum?” The organization’s management is seeking some kind of value, and they believe that investing in this scrum adoption will get them that value. Is the value faster time to market? Higher product quality? Happier customers? Happier employees? Something else? These are all laudable goals, but it’s important that the product owner for the scrum adoption team understand which of these is most important to the business. Based on this knowledge, the product owner can create and share a vision for how this scrum adoption will create value for the organization. This vision will guide the team’s work. The scrum adoption team will need a product backlog filled with the deliverables of the scrum adoption itself. One product backlog item might be identifying a pilot project to try using scrum. Another product backlog item might be to pick the team members for that first scrum team. Yet another item might be to get scrum training from Agile Learning Labs for that first team (okay, that was shameless). As the organization starts to adopt scrum, the scrum adoption team will discover impediments that are preventing scrum from working well, such as middle managers that aren’t willing to let go of control. These impediments will lead to new items in the scrum adoption team’s backlog. Perhaps they’ll decide to bring in Agile Learning Labs to do some training and coaching with those middle managers (okay, I’ll stop now). The team will need a scrum master. As with any team, the scrum master will focus on helping this team become high performing. The scrum master will coach the team and help them use scrum effectively to self-organize and continuously improve. Most importantly, the team needs team members. These should be people from various parts of the organization who will do the work of guiding the organization’s adoption of scrum. I recommend that the team have some permanent members, perhaps high-level managers from engineering, test, product, and human resources. The team should also have a rotating group of people from the field. These are people who will be using scrum and/or be impacted by the organization’s adoption of scrum. Examples include: scrum masters, product owners, engineers, testers, managers and anyone who will interact with a scrum team. These rotating members should serve on the team for pre-defined terms, perhaps three to six months. These members of the scrum adoption team will provide the muscle to get the scrum adoption team’s work done. They will also act as eyes and ears, keeping the adoption team in touch with what’s really going on. Here are a couple of things to be careful of. First is the role of the scrum adoption team itself. Scrum is about ‘doing it better and better’ not about ‘doing it right’ and so the scrum adoption team should not be the scrum police, telling the teams how they are doing it wrong. Their mission should be to help the organization learn, improve and drive toward the specific value that the organization is seeking from their scrum adoption. Focusing more on education and less on enforcement usually leads to better results. Secondly, the scrum adoption team needs to guide the organization in the selection of appropriate metrics for the scrum adoption. Measure the wrong things, and that’s what you will get! For example, velocity (often measured in story points) is a terrible metric. No organization ever adopts scrum to get “more velocity.” What they probably want is to deliver more value or to reduce time to market. So create metrics that focus on these things, not velocity. Obviously, I’ve just scratched the surface here. Hopefully it helps you get started creating your scrum adoption team. Have you been a part of a scrum adoption team? Or perhaps you’ve worked at an organization that needed one, but didn’t have one? Leave a comment and let’s talk about it. World Café is a fun, flexible, and scalable technique for group conversations that leads to creative solutions to complex problems. World Café has some similarities to Open Space Technology: both techniques work for groups ranging from a few people to a few thousand; and both are frameworks that support individuals and interactions. World Café is useful for generating and communicating ideas, making decisions, and even doing hands-on work. We’ll be teaching product owners how to use it in our upcoming Advanced Certified Scrum Product Owner (A-CSPO) workshop. The facilitator breaks the room into groups, then sets them to explore a set of related topics, one per table. Each table has a host whose job it is to stay with the table and provide continuity while the groups discuss the topic. The other participants rotate between tables on a regular schedule, perhaps every 15-30 minutes. The idea is that those who travel between tables will cross-pollinate ideas between the topics and bring fresh perspectives. By participating in each topic, the participants come to have a holistic understanding of the main issue, and are able to understand each sub-issue within this context. In the last round, people have the option of returning to a previous table so that there is opportunity for closure and continuity. 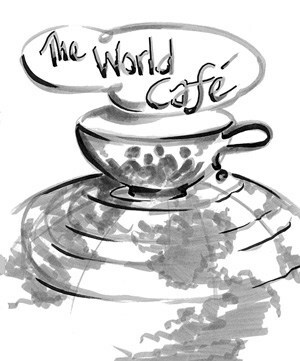 World Café was created in 1995 when a group of business and academic leaders were meeting at the home of Juanita Brown and David Isaacs in Mill Valley, California. The plan was for a large-circle dialogue outdoors, but rain necessitated a change. Here’s what happened next. Participants spontaneously formed into small, intimate table conversations about the questions that had drawn them together, recording their insights on makeshift paper “tablecloths.” They periodically interrupted these conversations to switch tables so the insights and ideas that stayed with them might circulate, deepen, and connect. Harvesting the table conversations enabled them to notice the emerging patterns in their thinking, which then enriched subsequent rounds of conversation. Over the course of the morning, the innovative process they improvised gave birth to an experience of collective intelligence that transformed the depth, scope, and quality of their collaboration. I first facilitated a World Café at P-Camp 2009 with Ainsley Nies. I’m excited to be using it in my Advanced Scrum Product Owner (A-CSPO) workshop. It’s a technique that can really help product owners build an engaged stakeholder community, and get the development team and the stakeholders more engaged with each other. You can learn more about the seven design principles behind the simple method of World Café at TheWorldCafe.com or by reading the Wikipedia page on World Cafe, or by enrolling in our next A-CSPO workshop. Agile Learning Labs is excited to announce the first public offering of our Advanced Certified Scrum Product Owner workshop (A-CSPO). This workshop is designed for people who have their CSPO and are ready to build a richer skillset, and earn the next level of Scrum Alliance certification. Chris Sims is one of only ten trainers in the world authorized to teach an A-CSPO workshop. One of the highlights of this interactive workshop is the half-day product road mapping session. Participants will be guided through the creation of a series of minimal viable product (MVP) releases for their product, and learn how to adjust their MVP and their roadmap as market conditions and business needs change. Another highlight is the use of the World Cafe framework to dive deeply into the skills a product owner needs to communicate effectively with the stakeholders and development team. The workshop includes several topics taken from the world of lean product development, including the creation and testing of product hypotheses as well as creating a Lean Startup Canvas. Additional topics covered include: defining and validating business value, crafting a product strategy and vision, how scaling impacts the product owner role, product backlog refinement, avoiding cognitive bias, and much more. The course includes about 4 hours of self-paced pre-work, followed by a 2-day in-person workshop. In order to take the workshop, you will need to already hold a CSPO from the Scrum Alliance. In order to complete the A-CSPO certification process you will need to self-report at least one year of product owner experience. Details can be found here on the Scrum Alliance website. If you are ready to take the leap and become an Advanced Certified Scrum Product Owner, then register for our upcoming A-CSPO workshop! A scrum team’s definition of done is an important tool that helps the team add new functionality while keeping the product in a releasable state. Here is one way of facilitating the creation and evolution of your scrum team’s definition of done. Put all the sticky notes on the wall in an unsorted clump. Keep asking if there is additional work needed to release a product backlog item until the team feels they have captured it all. Put a label that says “Definition Of Done For A Product Backlog Item” over an empty section of wall. One by one, team members pick a sticky note that they think would be reasonable to add to the team’s definition of done and they propose that this be added. Adding this means the development team can, and will, do that work for each product backlog item before declaring that item done. If the entire team agrees, then the sticky note gets added. If not, it’s returned to the group of unsorted sticky notes. Eventually the nominations will stop; there are no additional sticky notes that the team is willing to consider for their definition of done. Have the team look at the list and reaffirm that they are willing and able to do each of these pieces of work for each product backlog item before they consider it done. Adjust as needed until there is consensus that this is their definition of done for a product backlog item. With the remaining unsorted sticky notes repeat the process from above, but this time have the team members select the work that they can do by the end of a sprint in order for the product increment (the collection of completed product backlog items) to be truly releasable. This becomes the team’s definition of done for a product increment. Warning! Any items that can only be done at the sprint (product increment) level represent technical debt and increase the risk that the increment might not be releasable at the end of the sprint. One the premises of scrum is that the team produces a releasable product increment at the end of each sprint. So there shouldn’t be any additional work left. In reality, your team may not be there yet. Perhaps there are still some sticky notes in the unsorted category. These remaining items are significant technical debt and greatly increase the risks related to shipping the product. For now, consider these your definition of done for a release. The ideal is having one definition of done, which applies at the product backlog item (A.K.A story) level. Each time a product backlog item is done the business has a releasable product increment and we are leaving no undone work behind. This allows the business to capture the value from the work the team has done as quickly as possible. 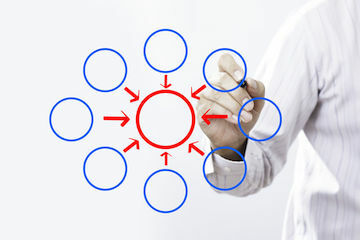 In pursuit of this goal, the team and perhaps the entire organization will want to do work in order to promote things from the release definition of done to the product increment definition of done and from the product increment definition of done to the product backlog item definition of done. In product backlog refinement, the team might notice that a particular acceptance criteria is almost universal and so they add it to the definition of done. In sprint planning, the team might notice some vital work that isn’t currently captured in the definition of done. In the daily scrum, the team may surface impediments that could be avoided by a stronger definition of done. In sprint review, the team might discover missed stakeholder expectations and decide to add stakeholder signoff or user acceptance testing (UAT) to the definition of done. In retrospective, the team might identify some ways a stronger definition of done might have prevented the introduction of bugs during the sprint. Do It Early And Often! If you are working with a new team, facilitating the creation of their definition of done should be one of the first orders of business. Don’t worry about getting it perfect or ideal; it’s more important that it be realistic. Then you begin the journey of evolving and improving the definition of done over time.